Geologists love rocks. They collect rocks, study rocks, and buy hats that say “I Love Rocks.” I imagine a disproportionate number of geologists have purchased some sort of paraphernalia at the Hard Rock Café—you get the idea. So if you want to start a quarrel with a geologist, you take away his rocks. If you want to crush him, you take away his access to some of the best rocks in the world—the ones in the sizeable hole known as the Grand Canyon. That’s what the U.S. National Park Service officials who oversee the Grand Canyon did. The geologist who had his world rocked: Dr. Andrew Snelling. Snelling has a PhD in geology from the University of Sydney, which is not only one of the most prestigious universities in Australia, but among the most highly ranked in the world. For decades, Snelling has conducted field research on several continents; has won multiple awards for technical excellence; is affiliated with at least eight geological, mineralogical, or other scientific societies; has authored well more than 100 publications; and is a sought-after speaker. In short, his professional resume likely looks far better than yours or mine. Snelling’s work has included three previous research projects within the Grand Canyon, all of which were completed successfully without complaint from any National Park Service official. His latest proposed project, however, firmly wedged park officials between a rock and federal court case. Nor was his application deficient. Snelling specified the relevant locations to the nearest one-tenth of a river mile, provided details on his planned method of access (commercial river trips for which he had already received permits), and—upon request—included more detailed sampling locations and specified the permitted river outfitters he would be using. He obtained and submitted three peer reviews evaluating his research proposal when park officials asked for only two. Each of those peer reviews rated the project highly and recommended that the application be approved. Lastly, Snelling even voluntarily reduced his request down to just 40 fist-sized rocks. 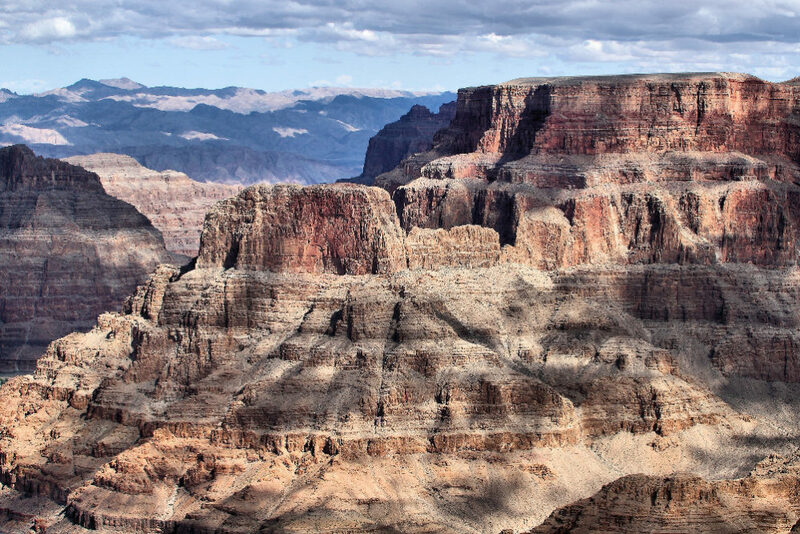 In March 2014, approximately four months after Snelling submitted his initial proposal, park officials denied his application, claiming that “equivalent examples of soft-sediment folds can be found outside of Grand Canyon National Park,” although none of these alternative sites were ever revealed. Officials subsequently warned he might be “banned from research in the national park system” if he collected any samples without a permit. Given Snelling’s pedigree, prior research, and thorough application, there seemed to be no good reason for park officials to deny his request. However, after Snelling dug a bit deeper, it turned out there was a reason—just not a good (or constitutionally permissible) one. It’s no shock that a geologist would criticize those who hold young-Canyon views. Frankly, it’s not even troubling; it’s the nature of the scientific process to debate interpretations. But having a debate is very different from denying those with competing views even the opportunity to collect data to make their case, especially when the entire field would get access to the newly collected information. By arguing that a Christian PhD geologist was disqualified from engaging in his research, Huntoon was road-blocking useful data collection with a really bad interpretation of constitutional law. Undeterred, Snelling continued to press for authorization to conduct his research, but met additional arduous requirements not placed on scientists conducting similar research. Finally, reluctantly, he had attorneys alert park officials to their legal transgressions. Arizona Rep. Trent Franks even reached out to park officials regarding the situation. Both the congressman and the attorneys received the same response: nothing. Not even the courtesy of a reply from park officials to a PhD geologist or a U.S. congressman. Cavernous silence. So finally, having exhausted his options, Snelling filed a lawsuitin May, asking the court to end the National Park Service’s attempts to violate his First Amendment rights to scientific inquiry, his right to exercise his faith and associate with others who do, and his right to enjoy the equal protection of our laws. Just two days later, Snelling finally received a letter—ironically, mailed just before the lawsuit was filed—in which park officials acknowledged Snelling’s request was “well-stated with methods that are similar or equal to standard scientific practice.” That admission brought the matter within a stone’s throw away from resolution, as Department of Interior attorneys promptly worked with Snelling to assure his permit would be issued. Now, three years later, Snelling is set to begin his research. Astronaut Neil Armstrong once said, “Geologists have a saying: Rocks remember.” The National Park Service had no right to dictate that only certain scientists have the opportunity to unlock those memories and hear what those rocks have to say. After three years of stonewalling, Snelling is pleased that he can turn his focus from paper to rocks and once again focus his attention on what those rocks have to say.